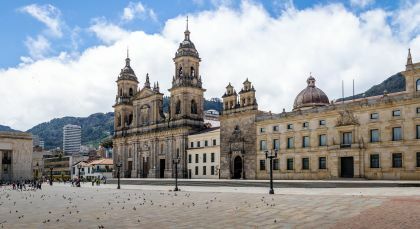 Discover rich cultural heritage as you travel through the colonial cities of Ecuador and Colombia, right from Quito in the Andean highlands to colorful Otavalo, and bustling Bogota to timeless Cartagena. 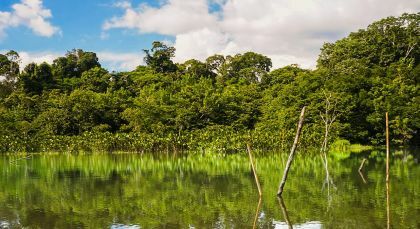 Highlights of your tour include a visit to the incredibly biodiverse Yasuni National Park in the Amazon as well as a brief sojourn in the verdant Coffee Region of Colombia. 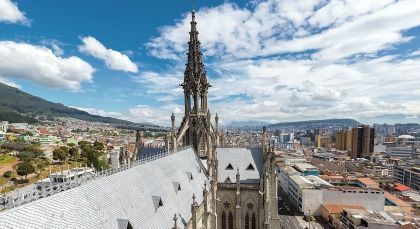 The Colombian capital city of Bogota offers an eclectic and cleverly juxtaposed mix of the old and the new. Experience the unique life of its citizens in the pulsating heart of its bustling marketplaces. Soak in the sights, smells and tastes of Bogotá’s Paloquemao with its typical fruits, vegetables and other fresh produce native to the region. Visit the Plaza de Bolívar, the center of the downtown district of La Candelaria. Walk down cobbled streets, admiring medieval cathedrals, old colonial buildings and important modern landmarks such as the Town Hall. Visit the famous museum housing the priceless works of contemporary artist, Fernando Botero; and admire the gold collection of the ancient Muisca Empire in the Gold Museum. Climb up to the Cerro Monserrate for panoramic views of the city spread out below, amid spectacular Andean peaks towering all around. (Duration: between 6 and 7 hours, Private Activity & Transfer; Please bring comfortable walking shoes; Gold Museum closed on Mondays). Beginn the day visiting the lovely town of Finlandia before heading to the Cocora Valley to discover the Quindío wax palm tree, Colombia’s national symbol and tree. Set at an altitude of over 2,000 meters (above 6,500 feet) this beautiful cloud forest is part of the Los Nevados National Natural Park. Discover the heart of this valley on horseback. You can take a lunch break in a charming little restaurant overlooking the valley, on your way down. Feast on freshly cooked trucha al ajillo (grilled trout in garlic sauce) before heading back up to the picturesque little town of Salento. 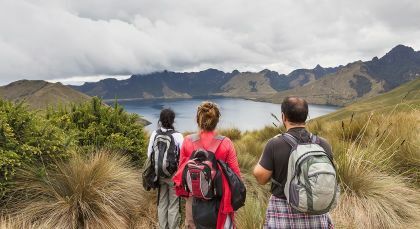 Take a leisurely walk through the streets to reach up to the vantage point of Alto de la Cruz, for a mesmerizing, panoramic view of the Cocora Valley spread out beneath, surrounded by the Andean mountains of the Los Nevados National Natural Park. (Full Day, Morning Tour; Private Activity & Transfers; Lunch not included; Fitness Level: Easy/Moderate; Please bring comfortable clothes for horseback riding). 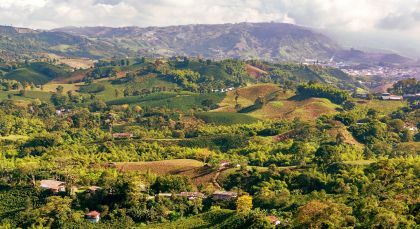 Indulge the nature enthusiast in you at this alluring slice of preserved forest area in the fragrant Coffee Region. The region’s Botanical Garden and Butterfly Park is a paradise for nature and bird lovers. The forested area is home to trees nearly two centuries old and 600 species of plant life! Visit the Insect Zoo, which offers a panoramic view of layers upon layers of vegetation from a 7-storey high viewing balcony. Make your acquaintance with a hundred avian species that reside on the highest treetops. Be prepared to be mesmerized by the fantastic Butterfly Park that holds almost two thousand butterflies of 50 different species. Make your way through innumerable, exotic flower-lined walkways in this wonderland. (Full Day; Fitness Level: Easy; Please bring comfortable walking shoes). Experience the grand colonial charm of this 16th century Spanish stronghold by the Caribbean Sea. Visit the imposing Fort San Felipe, whose tall stone walls still protect the city from the ‘pirates’ of the Caribbean Sea! 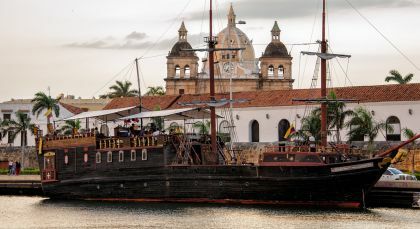 A major Spanish port, it was mainly through Cartagena that most of the treasures of the Incas, the Andean and Amazonian empires were shipped off to the ‘Old World’. Relive the old times of rascally pirates and conquistadors, as you amble through winding streets and alleyways of the Old Town. Later visit the well-preserved historic buildings in Cartagena downtown. (Duration: 4 hours; Private Activity & Transfers; Fitness level: Easy; Please bring comfortable walking shoes). Take up the unique opportunity of encountering multiple environs on this tour of the National Aviary in Baru. A dream trip for any nature and bird lover, be part of this wonderful ecotourism initiative in Colombia. Accompanied by your local guide, ride to the aviary, which displays a variety of exhibits to replicate tropical rainforests, tropical dry forests and desert landscapes. Explore over a hundred species of exotic bird life, marveling at the natural beauty surrounding you. (Private Activity & Transfers; Fitness level: Easy; Please bring sun hats and comfortable walking shoes).